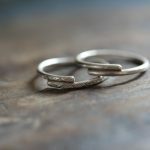 How to Prevent Tarnish on 92.5% Silver and Hill Tribe Silver (99% Silver) Jewelry? 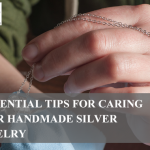 Every silver jewelry tarnishes when exposed to air (oxygen) and light, but there are ways that if you follow will help your jewelry to look attractive and lustrous longer. Simply wash any piece of silver jewelry you have in warm water then rub it with a little of mild soap. Rinse off every nook and cranny, then pat dry with a clean, soft fabric. When storing each of your silver jewelry pieces, keep each on its tarnish-proof bag then store it in a cool and dry place. 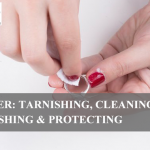 Ensure you remove your jewelry getting to any chores around the house because household chemicals might damage the silver. 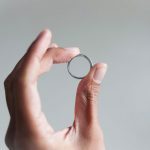 Why your sterling silver jewelry disc? If you are a jewelry fanatic, you probably know that sterling and Hill Tribe silver jewelry tarnish comes. As a result of its reaction to air and chemicals such as sulfur. The copper alloy present in nearly all silver jewelry also undergoes a separate chemical reaction. Silver corrosion combined with sulfur makes a dark appearance known as tarnish. That’s why you must always clean your jewelry appropriately and dry it thoroughly before storing it as moisture, dust, dirt, or oil might accelerate tarnishing. Where and how do you store your silver jewelry? 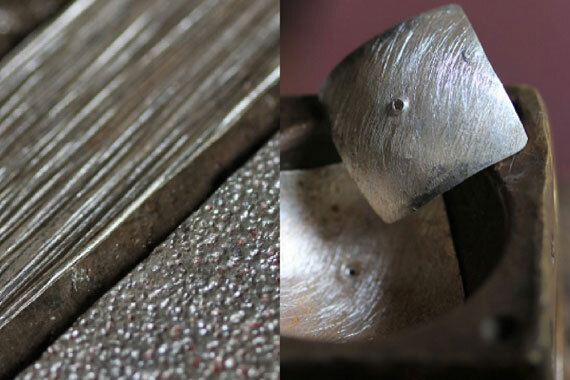 Sterling and Hill Tribe silver jewelry should preferably be stored in airtight containers because reduced contact with air lowers the rate of corrosion and tarnishing. Ziplock bags are the most preferred household items to use for this function or another airtight bag with no scratchy surface, for instance, those made of polyethylene. Do not store silver jewelry in polyvinyl plastic bags because they contain some chemical compounds which hasten tarnish. However, if you are ready to spend, there are specialized boxes and bags for silver storage in jewelry stores. 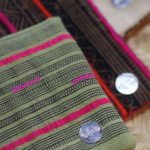 DO NOT leave your sterling and Hill Tribe silver jewelry lying carelessly. It’s essential that you store your silver jewelry appropriately immediately after you come home. Do not go to shower with your sterling silver on since the humidity will only hasten oxidation and hence tarnish. Also, you should never swim with sterling silver on you. No silver jewelry stands a chance in between moisture, humidity or chlorine. 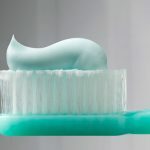 Anti-tarnish trips: it is sold in many stores, and the strips are standard products of non-toxic materials which absorbs tarnish-causing causal agent present in the air. Anti-tarnish cloths or fabrics: like the strips, these materials should either be saturated with traces of silver or chemically treated so that both can absorb sulfur as well as any other erosive chemicals in the air. 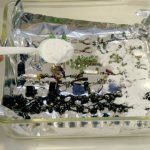 Blackboard dust chalk: a solution to help prevent tarnish is merely storing chalk inside the box or container your sterling silver jewelry is stored, and it naturally absorbs chemical residual into the air. Silica packs: those small packs put in medicine bottles, free bags, or shoe boxes are called silica pack. They are highly critical when it comes to absorbing moisture in the air. 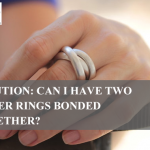 Just put them somewhere in your silver jewelry containers rather than the trash; this way, you will be both recycling and preventing tarnish at the same time.